Bangladesh and Bhutan will allow duty-free (DF) and quota-free (QF) access to a number of products to each other’s market. 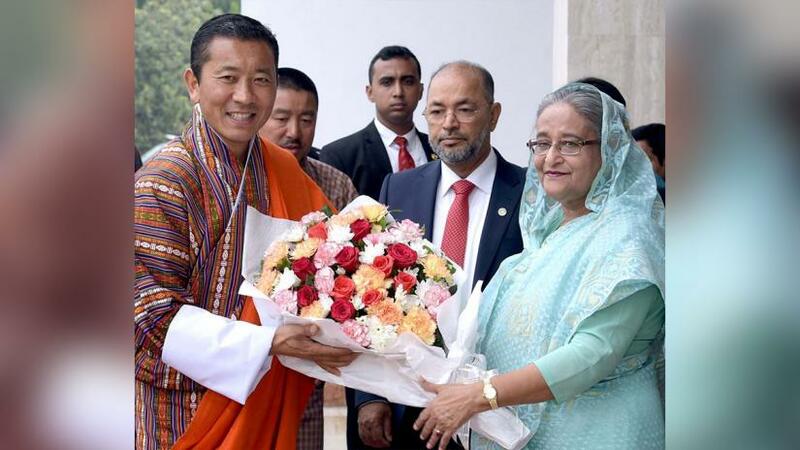 The countries agreed to work on the matter on Saturday (Apr 13) at the official talks led by Bangladesh Prime Minister Sheikh Hasina and her Bhutanese counterpart Dr Lotay Tshering, state news agency BSS reports. “Bhutan has sought duty and quota-free access of its 16 products to Bangladesh market, while Bangladesh has come up with a list of 10 products”, Foreign Secretary Shahidul Haque told the media after the talks. The issue, he said, was also discussed when the Bangladeshi prime minister visited Bhutan in 2017. The foreign secretary said the issues related to trade, business, connectivity, and health have been given priority in the talks. The foreign secretary said though all countries signed the agreement, it is yet to be ratified by Bhutan parliament. “The new Bhutan government said the bill will be placed afresh at its Upper Senate for discussion and they are hopeful of its passage,” he said. The foreign secretary also said the two sides discussed the regional power trade as talks were already underway to produce hydropower from Bhutan and marketing that electricity in the region while Bangladesh was keen to invest in hydroelectricity in Bhutan. “The discussion is at its final stages and we hope an agreement will be signed soon,” added Haque. The foreign secretary said tripartite cooperation will be made when Bhutan-produced hydroelectricity would be marketed in India and Bangladesh.